The Atlanta Symphony Orchestra (ASO) is an American orchestra based in Atlanta, Georgia, USA. Robert Spano has been its music director since 2001. The ASO's main concert venue is Atlanta Symphony Hall in the Woodruff Arts Center. 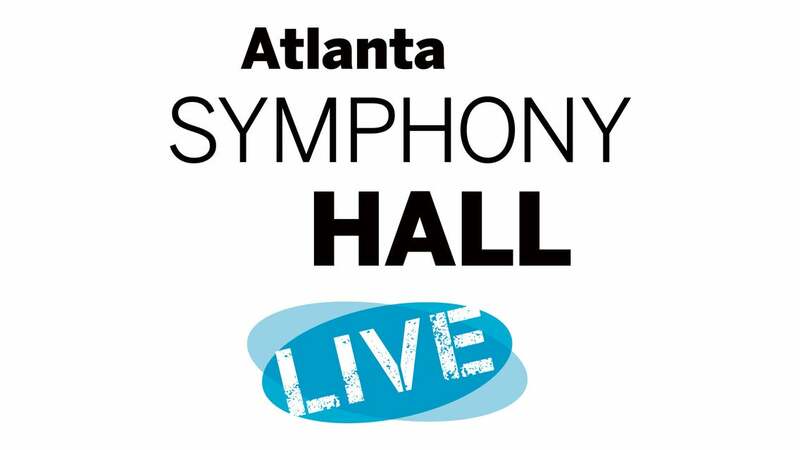 Though earlier organizations bearing the same name date back as far as 1923, the Orchestra was officially founded in 1945 and played its first concert as the Atlanta Youth Symphony under the direction of Henry Sopkin, a Chicago music educator who remained its conductor until 1966. The organization changed to its current name in 1947 and soon began attracting well known soloists such as Isaac Stern and Glenn Gould. In 1967, with the departure of Sopkin, Robert Shaw (founder of the Robert Shaw Chorale) became the Music Director, and a year later the orchestra became full-time. In 1970, Shaw founded a choir, the Atlanta Symphony Orchestra Chorus. In 1988, Yoel Levi became Music Director and Principal Conductor. Under him, the Orchestra played at the opening and closing ceremonies of the Centennial 1996 Summer Olympics in Atlanta. Levi became Music Director Emeritus in 2000, and was succeeded as Music Director by Robert Spano. The orchestra toured Europe under Yoel Levi in 1991; and with its Chorus, under Robert Shaw, in 1988. In 2006 the orchestra and its chamber chorus, under Robert Spano, served as the resident ensemble for California's Ojai Festival. The full ASO Chorus has thrice visited Berlin, giving three performances on each occasion of Benjamin Britten's War Requiem (2003), Hector Berlioz's Grande Messe des Morts (2008), and Johannes Brahms's Ein Deutsches Requiem (2009) with the Berlin Philharmonic Orchestra under ASO Principal Guest Conductor Donald Runnicles. In 2008 the ASO opened its new 12,000-seat Verizon Wireless Amphitheatre at Encore Park in north Fulton County in the town of Alpharetta, some 22 miles north of Atlanta, where it presents concerts of its own as well as those by various pops groups. Encore Park and the Amphitheatre are owned by the Woodruff Arts Center, the ASO's parent organization. Including Encore Park and its activities at Atlanta Symphony Hall and Chastain Park, the ASO expects to present more than 300 performances annually. With a budget expected to increase to US $50 million with the completion of its new Amphitheatre, the ASO has become one of the six or seven largest orchestras in America, by budget size. The ASO's budget includes not only the costs of production, along with musician and staff salaries and benefits, but also the Orchestra's very significant expenditures on education, community outreach, special events and fundraising. According to the Atlanta Journal-Constitution, the Atlanta Symphony Orchestra management and principle musicians face a September 6, 2014 deadline to reach a collective bargaining agreement or face delaying the opening of the season. This continues a rancorous history between management and players, as they attempt to extricate themselves from operating in the red, as has been the case for many years now. The local paper also indicates that their touted "operating budget" is unsustainable for a variety of reasons. Since 2005 the Orchestra has been actively planning for the construction of a new principal concert hall. In addition to the Verizon Amphitheatre the Orchestra plays an extensive outdoor summer pops concert series at Atlanta's city-owned Chastain Park and at other parks in the area. On February 5, 2014, the ASO announced that Joseph Young would take over as Assistant Conductor, starting June 1, 2014. The orchestra and chorus made their first recording, a 2-LP Christmas album entitled Nativity, for Turnabout/Vox Records in 1975, conducted by Robert Shaw. This was an album directly based on their annual Christmas concert. A slightly shortened version of the 75-minute album was issued by Vox in the 1990s on compact disc under the title Christmas with Robert Shaw. In 1978, the ASO became the first American orchestra to make a digital recording intended for commercial release, when it played Igor Stravinsky's Firebird suite and excerpts from Alexander Borodin's opera, Prince Igor for the Telarc label. The Telarc association, which resulted in 26 Grammy awards, continued until 2010, one of the longest continuous associations of an orchestra with a record label. In 2011 the Orchestra began releasing recordings on its own ASO Media label. In 2004, the Orchestra began a project to record for the Deutsche Grammophon label several works by composer Osvaldo Golijov. One of the orchestra and chorus's best-known recordings, of Beethoven's Ninth Symphony conducted by Robert Shaw, was recorded for the now defunct Pro Arte label, and is out of print, though excerpts from the "Ode to Joy" fourth movement may be found in anthologies issued on the Reference Gold and Classical Heritage labels. Another of the ASO's recordings now out-of-print because it was recorded for the Pro Arte label is that of Brahms's Piano Concerto No. 1, with Peter Serkin as soloist and Robert Shaw conducting. It is one of the few recordings without a chorus that the orchestra made with Shaw. The ASO has suffered from labor disputes between management and musicians in recent years. In 2012, musicians agreed to decrease by ten weeks of pay yearly in order to help balance the ASO's budget, which had seen a major deficit in part due to years of mismanagement and declining ticket sales. As a result, the orchestra's status being changed from a full-time, 52-week orchestra to a part-time, 42-week organization. However, in September 2014, after musicians refused to agree to a new contract, management locked out the players and putting the beginning of the 2014-2015 season in jeopardy. The lockout ended up lasting beyond the scheduled date at which the season was supposed to start, on September 25.